Accessories to make the most of our free time outside with our dog. 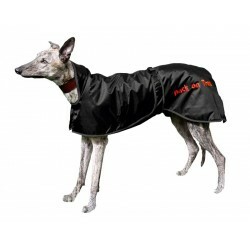 This waterproof thermal dog coat has been specially designed using fabric with ceramic particles to improve your dog's muscles and articulations. Highly recommended for dogs that participate in outdoor activities, such as hunting dogs, agility dogs and mushing dogs, as well as for dogs with arthritis and elderly dogs. This life jacket from Ruffwear is the ultimate in canine flotation and water safety. 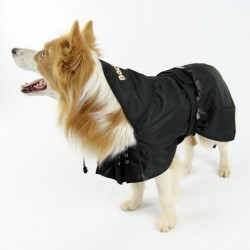 It is ideal to protect your dog, to be use while performing hydrotherapy or even to enjoy water sports. This life jacket is designed for dogs of all shapes and sizes. 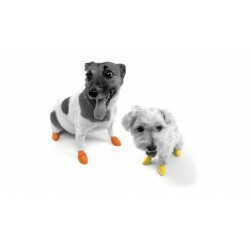 Specially designed with ceramic fabrics to improve your dog's muscles and articulations. Highly recommended for dogs that participate in outdoor activities, such as gundogs, agility dogs and mushing dogs, and also for dogs with osteoarthritis and elderly dogs. TENS (Transcutaneous Electrical Nerve Stimulation) + EMS The pack consists of a TENS electrostimulator + EMS, 4 rubber electrodes and a bottle of contact gel. The pack includes everything necessary for applying current and stimulatory analgesic in dogs. 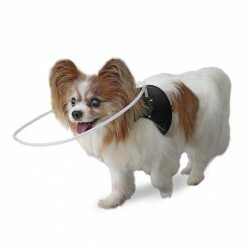 Special help for blind dogs. Flexible and resistant, helps the dog to avoid obstacles and bumping into any obstruction.